Excellent experience ... Hosts were extremely kind, welcoming and hospitable. We had the best service. Room and facilities were great, too. Thank you! The villa borders the green of the Tenuta Presidenziale of Castel Porziano. The natural reserve of the pinewood of the Castel Fusano park is just 500 meters away, great for relaxing walks or biking. The pinewood offers several biking routes leading to the beach in a few minutes. Served by public transportation (bus stop at 50 mt and with one Roma-Ostia Lido metropolitan train station nearby), "Notti Romane" is a smart destination for all those tourists that want to get in contact with the historical and artistic beauties of Rome and its surroundings while enjoying the relaxation of a gorgeous garden and the charm of a seaside sunset. 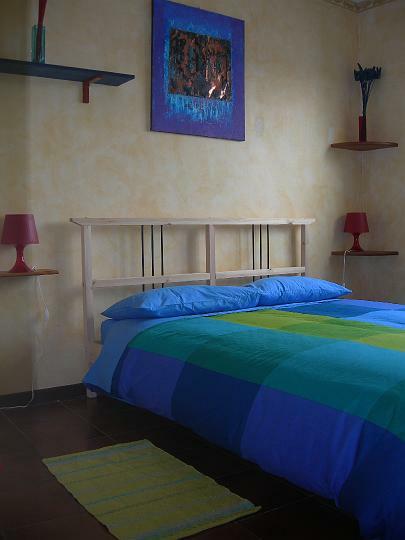 On the upper floor of the villa, a double room and a single room with private bathroom are available for our guests. The breakfast, rich and varied, is served by the house owner in the dining room (with fireplace) or in the garden. Our guests will find a friendly atmosphere that will cheer up their stay. The host family is made up of a concert pianist, a computer engineer & guitarist, with two lovely young daughters and an outdoor cat. Spoken languages: italian, english and french. 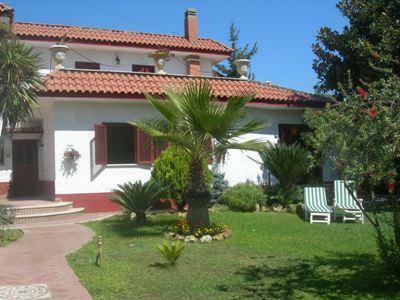 Our B&B "Notti romane" is located in a spacious villa, surrounded by 500 meters of well-appointed garden (with deck chairs and barbecue available for the guests). The floor level of the villa includes a foyer, salon and formal dining room with fireplace, studio, bathroom, storage room, kitchen and informal dining room off kitchen with additional fireplace. 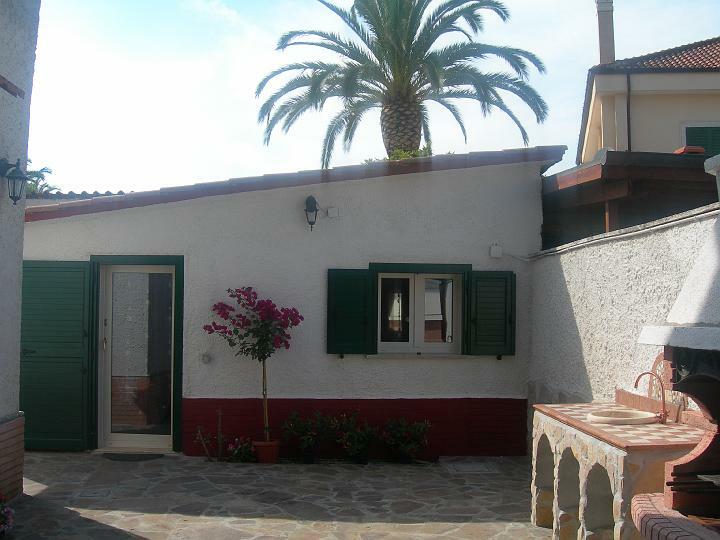 The first floor has 4 bedrooms, 2 bathrooms and a large terrace. 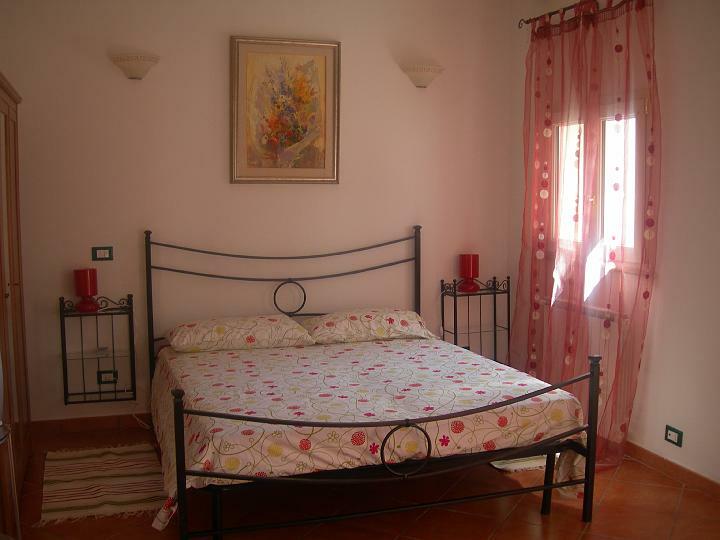 Two rooms and bathroom are for the use of our B&B guests. The dépendance, a delightful outbuilding totally restored in Spring 2008, is a welcoming, confortable and bright environment. It has internal private bathroom, cooking corner and air conditioning. Additional equipment: color tv, wireless internet connection, ironing board, table with chairs and wardrobe. Well heated in winter. Parco acquatico ZOOMARINE: aquatic park with daily performances by dolphins, seals and other marine animals. Great for adults and kids. Porto turistico di Roma: recently built, this interesting promenade shelters boats and yachts of various size and kind. Many shops, bars and restaurants are found on the promenade: it's a great destination for a walk during any season. FABER beach: right on the beach, a trendy meeting point with live music, restaurant and disco. CineLand: Cinema Theatre with several shops and restaurants. 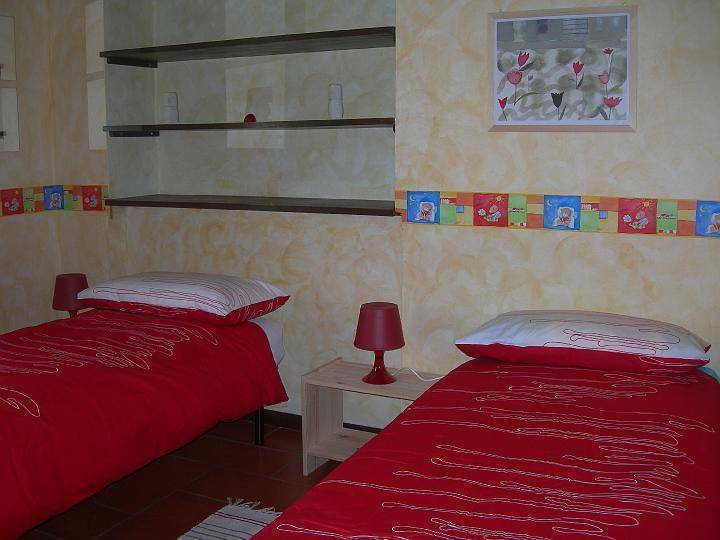 The B&B guests' bedrooms are comfortable and next to the private bathroom. They have double/single bed, wardrobe, color tv, two chairs, mirror, hooks and several shelves, all in bright welcoming colors. The bathroom, with a small window, has a shower, wc, sink and bidet, plus a couple of small shelves and a large mirror over the sink. All rooms have heating. Several attractions are available a few minutes away from our B&B: nature, archeological sites, boats and entertainment. Public transportation: bus towards Roma Termini railway station, then metro B [direction Laurentina], get off at the Eur Fermi metro station; here get the bus n. 070 (terminus); get off in Infernetto, Viale Castel Porziano crossing Via Canale della Lingua. Public transportation: metro B [direction Laurentina], get off at the Eur Fermi metro station; here get the bus n. 070 (terminus); get off in Infernetto, Viale Castel Porziano crossing Via Canale della Lingua. Arriving from Rome center by the Cristoforo Colombo avenue, turn left on Via Canale della Lingua (5th traffic light outside the GRA). Turn right on the second street (Via Momigliano, 10). 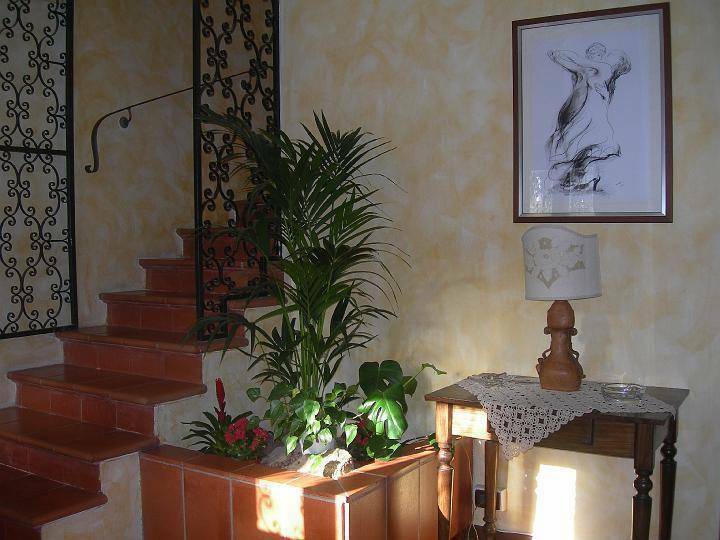 The B&B Notti Romane is located in the 3rd villa on your right.